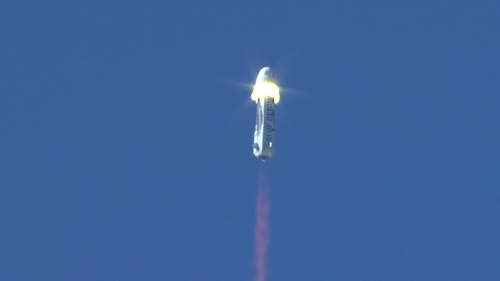 The commercial space company Blue Origin – owned by billionaire Amazon founder Jeff Bezos – carried out another successful test flight from West Texas on Wednesday. The company expected its reusable rocket to be destroyed during the test, but instead, it landed safely back on Earth for the fifth time. Blue Origin had already pushed the launch back a day because of weather concerns, and at one point, it seemed like they might have to cancel it again. The launch was put on hold for about 10 minutes as an engineer reassessed whether the “New Shepard” space vehicle was indeed ready to fly. Shortly after liftoff, the company tested an “escape system” for the craft’s crew capsule, which is designed to eventually carry astronauts or space tourists. Before the launch, Bezos said this “in-flight escape test” would “probably destroy” the company’s reusable rocket. He said it wasn’t built to survive an escape scenario. But it did, and with the excited cheers on the ground to the shaky, giddy voices of the Blue Origin crew narrating the live stream, it was clear the rocket surviving the test was an unexpected surprise. “There it is! 70,000 pounds of thrust, pushing that crew capsule at 400 miles an hour and the BE-3 engine remains on the booster — continues to space!” the video’s commentators exclaimed. The company also accomplished its main goal of landing the crew capsule back on the ground after a safe escape test. Unless plans change, this will be the rocket’s last flight. Bezos said before the launch that if the rocket survived, the company would give it a “retirement party” and store it away in a museum. 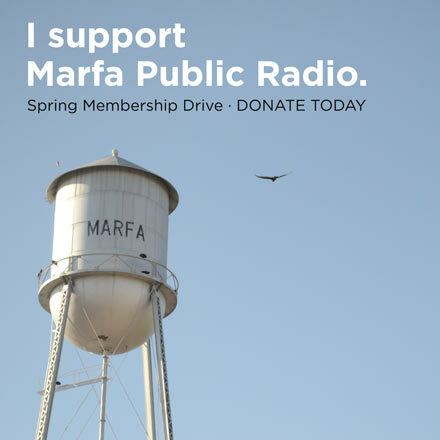 Member station KERA contributed reporting. This entry was posted in KRTS News and tagged Blue Origin, Commercial Space Industry, Culberson County, Jeff Bezos, Rocket Technology, Space, Space Travel, Van Horn. Bookmark the permalink.